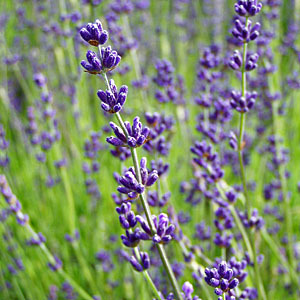 This cultivar of English lavender has long flower stems and blooms heavily again in the autumn. Its main drawback is a slightly floppy growth habit. It also appears more tempermental than other English cultivars in wet soil. Another cultivar bred by Don Roberts for good oil quality. The calyx color is dark purple; the corolla is violet.